Keep tradition alive with the dazzling sophistication of the Tissot® Savonnette pocket watch. Removable curb chain with spring ring closure. 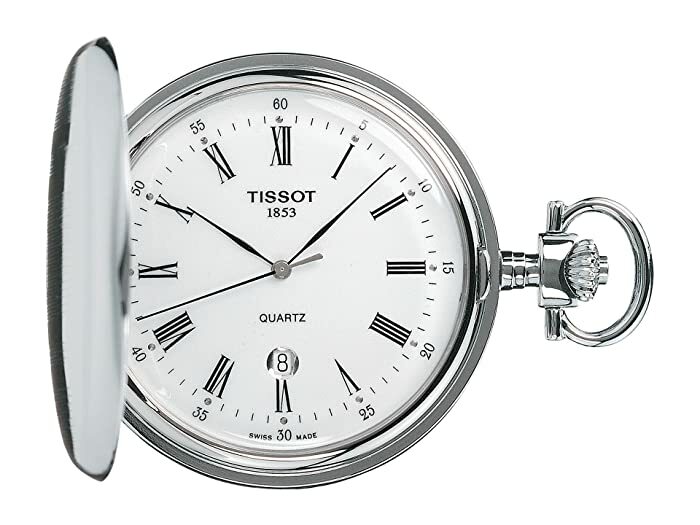 White dial face features Roman numeral indexes with minute track at perimeter.